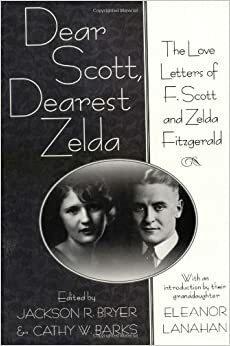 Over the weekend, I picked up a copy of Dear Scott, Dearest Zelda: The Love Letters of F. Scott and Zelda Fitzgerald at my local library. And while I wouldn’t always call them “love” letters, exactly, the correspondence that makes up the greater part of the book is engaging, well-crafted, and endlessly surprising. Zelda Fitzgerald initially rose to fame by setting the pace of the ’20s as the consummate Jazz Age socialite, but by the 1930s her talents and ambitions were overtaken by mental illness. Doctors diagnosed her psychiatric struggles as schizophrenia, and she spent years in and out of treatment facilities across France, Switzerland, and the States. My takeaway from this solitary letter: Zelda Fitzgerald may have been much saner than we thought. Joyce, Lawrence, and (sometimes) Woolf still write the plot of my own literary nightmares, and I never had to meet any of them in person.